Intel's plan of launching its own Internet TV service is moving forward, as Reuters reports that the company is locking down deals with CBS, News Corp., and Viacom. The agreements cover how content will be distributed on the platform, but it is not actually a firm deal for specific programming just yet. In addition to the aforementioned deals already in progress, the report indicates that Intel is also in talks with NBC Universal to bring its shows to its service, but those are not as far along as the rest. 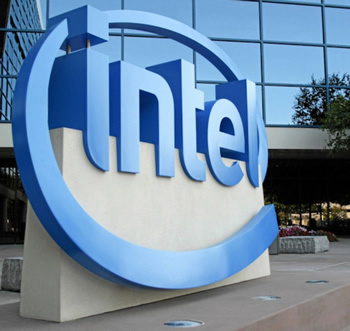 According to Reuter's anonymous sources, Intel is greatly increasing the amount it will pay providers per subscriber. In fact, the company is willing to spend as much as 75 percent more than cable companies for the content. This could mean the service will be more expensive than others on the market, but we can't know that for sure at this point. While the additional money will attract major networks, Intel is also thinking about making it so viewers cannot skip advertisements on the first run of a show. For networks, this would be very attractive. But whether potential subscribers would be willing to switch from traditional and Internet TV services for this remains to be seen. Intel is entering a crowded space with competitors like Roku, Apple TV, and Microsoft's upcoming Xbox One all working within the set top box area. None of them have secured a dominant position in the market, though. The company plans to offer live TV, the ability to catch up on past programs, and plenty of applications. That, along with the deals it is willing to spend top dollar on, could make it a major player in this business.